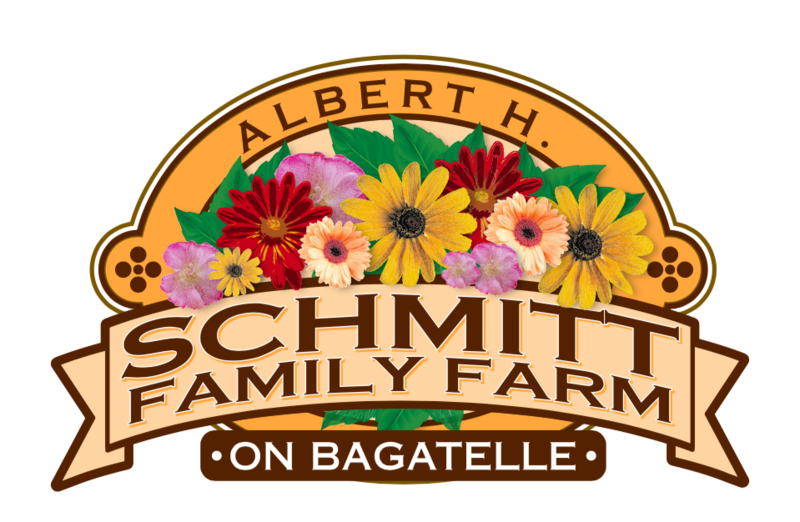 Petunias are one of the most popular flowers that we raise at Schmitt’s on Bagatelle – and it’s no question why! Every combination is hand planted here and raised for months in the greenhouse. Petunias come in a wide variety of colors and combinations with designs on petals such as stripes and splashes. There are constantly new varieties of petunias being bred so the selection is truly endless. Not only are the color possibilities remarkable, but you can find a petunia for any use. There are varieties for hanging baskets that cascade, ground cover and space fillers in your garden, and mounding types that look lovely in containers. Whatever your needs, there is sure to be a petunia that can fill them. Another reason for petunias popularity is that they are relatively easy to grow. Newer varieties require little maintenance and flourish as long as they are planted in well drained soils with full sun. Six hours a day is good, but eight hours is ideal. Anything less than full sun can lead to less blooms and make the plants susceptible to fungal diseases. Planting them in part shade, won’t kill them, but you can expect fewer flowers. It’s also good to make sure they are sheltered from the wind. Petunias do need a substantial amount of fertilizer to maintain their abundant blooms. It’s smart to plant them in soils that are rich in organic matter and then continue to fertilize them throughout the growing season. To keep up a constant display of blooms, some of the older varieties require deadheading. When deadheading the growing petunias, remove the base of the flower to include seed removal. Petunias allowed to go to seed will slow or stop blooming. Many of the new varieties are self cleaning, so it isn’t necessary to deadhead. Petunias are tolerant of heat, but like regular watering, If you’ve planted your petunias in a container, or they are the spreading variety, they need watering more often. You should allow the soil in containers to dry out before watering and every few days them a thorough watering. This entry was posted in Garden Tips, New Plants and Products. Bookmark the permalink.